After Moses destroyed the Golden Calf, he sprinkled its powdered remains into the nearby stream from which the Israelites were then forced to drink; he forced the worshipers to consume the idol they worshiped. Deuteronomy 9:21 states that there was a stream of water flowing down from Mount Sinai, and this stream would likely have flown near the altar and pillars set up where sacrifices took place. For Jabal Maqla to be the correct location for Mount Sinai, and this spot in particular to be the Golden Calf worship site, a stream of water must have come down from the mountain at that time, and the stream must have been large enough for the population to use as a water source. The stream must also come to a large plain that could fit a massive Israelite population and come within a short walking distance of the Golden Calf worship site. In addition, the stream should be very close to where the animal sacrifices took place at Moses’ altar at the foot of the mountain so that the priests could follow the washing rituals. At Jabal Maqla, it can be clearly seen where a brook flowed down from the mountain, forming a stream by the foot of the mountain right next to the possible altar constructed by Moses, and creating a pool of water on the plain for the Israelites to use. The stream does come near the possible Golden Calf worship site. Around where a miniature lake was formed from the stream, there are remnants of ancient wells around the perimeter. 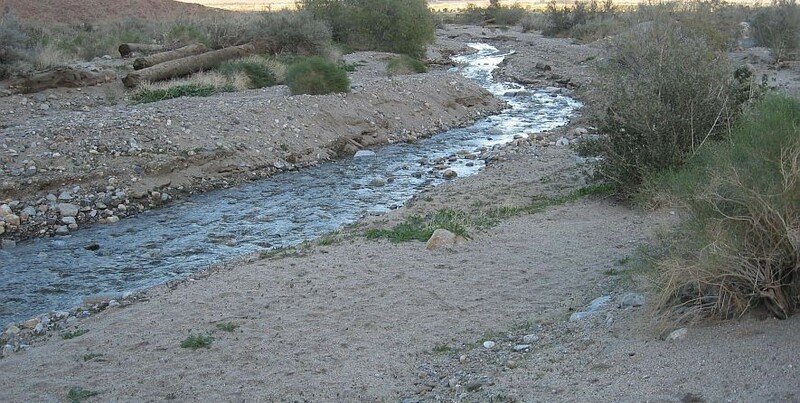 This stream would have been an important resource for the Israelites while they were camped at Mount Sinai. Just like at the Split Rock at Rephidim, a long period of water erosion appears to have left its mark on this spot.